How to store your electronic equipment smartly? The electronic industry is growing by leaps and bounds and so are the different types of packaging materials and boxes for storing electronic goods. Considering the high cost of electronic goods, it becomes very essential to store them the right way as repairing is not a good option you have. Mentioned below are a few tips to store your electronic equipment smartly. 1. Ensure that the electronic products are free of dust and other dirt particles. This is one of the most important rules that you need to follow. Dust and dirt can hamper the electronic goods completely. 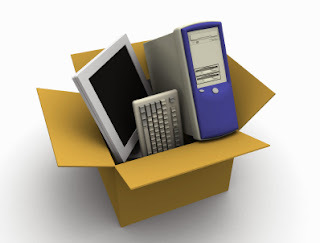 Make sure the electronic goods are thoroughly clean and dry before placing them in any of the storage units. 2. Glass items or devices such as the iPad or any other tablet should be first covered using bubble wrap and then placed on to the respective boxes while shifting from one place to another. 3. Make sure you remove the batteries and other accessories attached to the items properly before storage. This will avoid the clutter while storing goods as no wires or connections will be hanging out in the process of shifting. 4. It is important that you label all the boxes properly before stashing them in any of the boxes. The more time you take in unpacking all the goods, the greater are the chances of them getting damaged. Not labeling the goods properly will also cause a lot of confusion. Therefore keep the devices well covered and pack them compactly for a smart shifting experience. Follow these simple storage tips for your electronic goods and save money. For more information about this article click here. With the winter sun touching upon our lives, it’s time to pack away all the summer clothes. However, you may need them again as the seasons change, hence it is important to store them properly during winter. The below mentioned tips will show you how you can store your clothes in winter. Decide on the clothes that have to be dumped first - Once your wardrobe is free of clutter, your clothes can have a breath of fresh air in the form of winter clothes. You can donate the unwanted clothes, so that you have plenty of space for keeping your winter clothes such as jackets, sweaters and so on. Decide on a storage space - Depending upon the kind of clothing, you need to decide on the place where you’ll be storing it. First off, wash the winter clothes properly and see if there are any holes or blemishes in them. If they are present, you can take some time and sew them up or even tell your local tailor to do it for you. 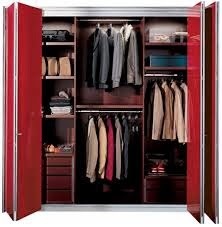 Once the winter clothes are free of any glitches, you need to think about a storage space for them. Make sure you store them in a place where there is no chance of moisture coming in as it could lead to infestation by fungi and bacteria. Don’t wear your winter clothes for days on end - This is the worst thing you can do with your winter clothes. You need to regularly wash your sweaters and jackets as they are likely to become sweaty and smelly while being worn regularly during winters. Hence, take the time to wash the winter clothes often and store them neatly in a cabinet that will eliminate any kind of foul smell and keep them fresh and clean. Keep these simple tips in mind and let your winter clothes breathe! Want to know more details about storage visit our website click here.